Increasing of the number of families in the apiary (which requires an appropriate number of fetal females for no later than mid-June). Honey-collecting of family depends on its strength (formation of new families in spring, then connecting them to the main families before the main honey flow and 2-queens scheme). For this you also need early fetal queen. Change of queens. Honey-collecting of family also depends on the age of the queen. It is better to change queens annually. Keep in the winter at least 10% spare queens (from the number of major families) for subsequent help for families without queens in the spring. Using Nucleus , you can solve all these problems. What is the Nucleus and why do you need it? Nucleus is translated from Latin – “core”. 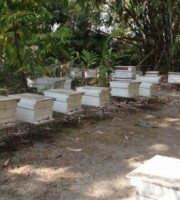 This is a small hive with a reduced (compared to normal) number of frames. It used to hold barren queen before mating with drones and for temporary storage of spare ruptured queen. 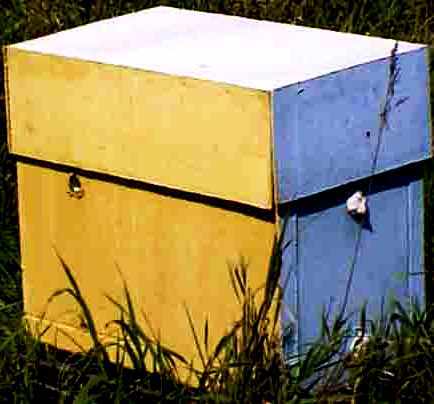 Beekeepers usually take a simple hive and divide it with walls into several parts, each with a 2-6 frameworks. Each such department has its notch. Notches should be directed in opposite directions. In each of these divisions beekeepers create a small little family, lifting there the barren queen or queen cells. Disadvantages of this method: you get an elongated slot, resulting in large losses of heat, and thus the honey. In addition, there is no space under frames. In this case, the worker bees are getting tired faster. Materials necessary for the manufacture of nucleus are low-cost and affordable. A particular advantage of this design is that the bees in the nucleus can hibernate. Its walls do not freeze, because are insulated with foam. In this case, if you use 6 frameworks – nest is cubic, and the club – round. The surface of the ball is the smallest of all of the geometric shapes, so the heat losses are reduced to a minimum. You can put on top of 6 frames another frame that perfectly fits into this design as its dimensions match the dimensions of the top of the slot. All this contributes to the fact that 4 kg carbohydrate diet are enough for the winter (while in the usual nucleus it requires 7 kg). It has a spacious space under frames that provides good ventilation in winter. Universal nucleus can be divided into two parts – you quickly take out the walls. It can be used with different types of frames. It can serve as an offshoot. It can be used as a trap to catch stray swarms. 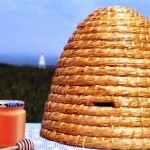 If necessary, it can also be used as package for bees. The proposed sizes of nucleus can be considered optimal. Of course, you can reduce the size and the feed consumption may be even less in the winter. But reducing the size of nucleus will affect the quality of queens, as beekeepers have repeatedly observed that the queen, overwintered in the small nucleus (less than 400 g of bees), loses the ability to lay a large number of eggs. In addition, it is difficult to maintain a steady temperature. In addition, a small little family is unable to protect the nest of bees thieves. This leads to its complete destruction. One beekeeper formed a nucleus in the volume a little more than a matchbox. This design has been divided into 2 parts. There were few bees and the queen in one part. In another – multiple cells with honey. This family was immediately sacked. Then resourceful beekeeper buried the nest underground, put rubber hose in the notches and outputs an end outside. But it did not work: bees found and plundered this micronucleus. In this nucleus bees themselves protect from theft, you only reduce the tap hole. Nucleus is a structure in which you can put six Dadan or any frames or 12 semi-frames across. If you work with Dadan frames, you can change the height of nucleus and increase space under frames. If you put 12 semi-frames (ie, nucleus shall be calculated for 2 families), place in the middle the double wall fiberboard. Nucleus has a double walls, floor and roof of the single-fiberboard (smooth side out). Between the walls there is a layer of foam for insulation. Bottom and top of the roof are well insulated . Each wall has 2 tap-holes (25 mm (1”) from the top and 18 mm (0.7”) from the bottom), arranged so that in case of the separation of the nucleus into 2 partitions there are 4 tap-holes for for each family, 2 – on the warm side and 2 – on the cold. At first glance, this number may seem excess. 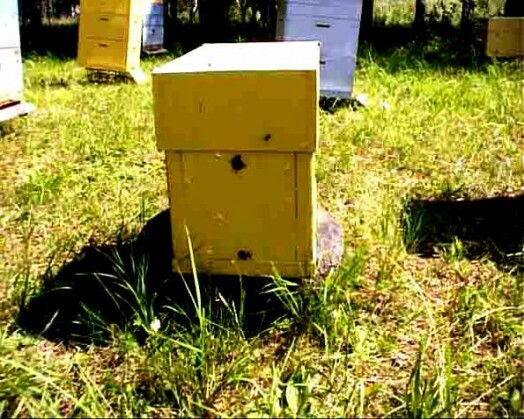 Usually, when you keep the bees on semi-frames on the cold side – notches are made in the side walls of the hive. Notch at the front is used for a weak little family on a warm side, for additional families on a cold side, as well as a trap for stray swarms or package for bees. Lower notchesare used in the cooler seasons (spring and fall), in addition, bees throw the garbage through them. To improve ventilation in the hot season you can open up the top notch. Fabrication begins with the framework. Frame is built for each wall separately. It is welded from bars of any tree (better – soft). First you nail a hardboard with nails 1.2 mm x 24 mm (0.03*1”) to one side of the frame. Then insert the foam and nail the next layer of fiberboard. In the same way you cobble together all the walls, roof and floor. Nail rail to the roof (for greater safety harness can be made out of plywood). For successful assembly you must nail fiberboard to the frame so that the edges do not protrude beyond the bar. You can cut the protruding part with a plane. First, connect the side and end parts with the nails 3 mm x 70 mm (0.1*3”). The joints are coated with glue. It is important to observe between the boards perfectly straight angle and precisely align them along the edge, to which you nail the bottom. After assembling all the walls are nailed to the bottom. But before make another measurement not to make a diamond nucleus (this should not happen :). Feature of this design: the bottom, side walls and roof are exactly the same size (ie, the boards are interchangeable: they can be used as a floor, roof and sides). You nail under-roof on the top. To insert a partition you nail two vertical rails on each side (at a distance of 5 mm (2”) from each other) in the middle of fiberboard. Nucleus is assembled, now you mark and drill tap holes. All notches must be located in the middle of the slot – between 3 and 4 frames. It is important that the bottom of the lower notch is at the bottom (so the bees can throw the garbage through it), while the upper – 190 mm (7.5”) above the bottom. To prevent bees from chewing the foam in the top notch, you insert a folded strip of 85 mm x 36 mm (3.3*1.4”), cut from a plastic bottle. Outside the Nucleus you must fill all the cracks. Some beekeepers, making hives of fiberboard, varnish them from the inside, so the bees do not chew walls. But we do not think it necessary to do it, as we did not notice that the bees chew fiberboard from a smooth side. 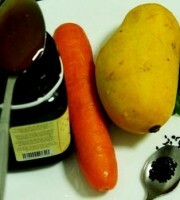 You use for painting oil paint – three colors. One – only for the roof (white, silver), the other (yellow) – for the side wall and the adjacent end (ie one queen cell). The third (blue) – for the other side of the wall and the back. Binding of roof should be painted in the same colors. All is painted 2 times. The roof and floor are painted with great care. Bottom color is not important. It is desirable to cover the roof with waterproof material. Because it is easier to crush the queen in nucleus than in the normal hive (since the number of worker bees is less), it necessary to increase the distance between the nucleus wall and the lateral plate to 10 mm (0.4”). This will not lead to inconvenience in operation. Table 1. Materials for the production. Nucleus frame can be assembled from 2 semi-frames with standard braces. Therefore, the upper hangers are attached to the frame with braces separately. They have 2 types: 470 mm and 260 mm 18.5 and 10.2”). The first type is used to connect 2 semi-frames in one usual (to put it in a standard hive). The second type – for the assembly of semi-frames. The side semi-frames – are the same as a conventional with permanent dividers. 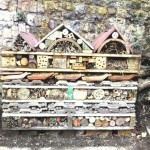 But the width of the top of the side bar – is 36 mm (1.4”) (for the increase in the number of brood). The wire is stretched in 4 rows, as in the usual framework. Table 2. 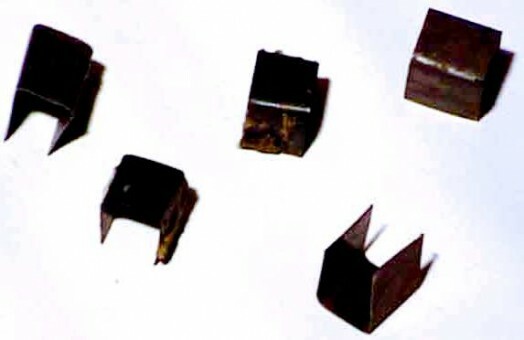 Materials for semi-frames (1 nucleus, 2 queen-cells). 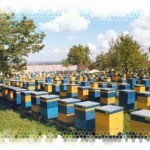 It is better to make nucleus for supporting honey harvest in the most favorable time of the year (June-July). 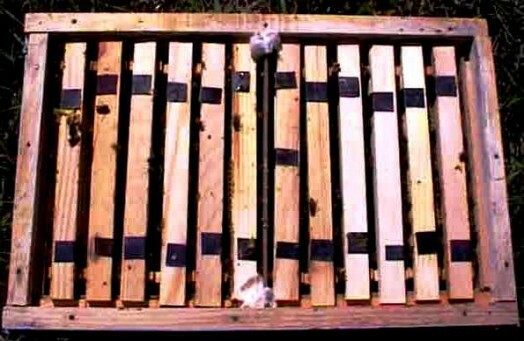 Two frames with capped brood and sitting on them bees are placed in the middle. 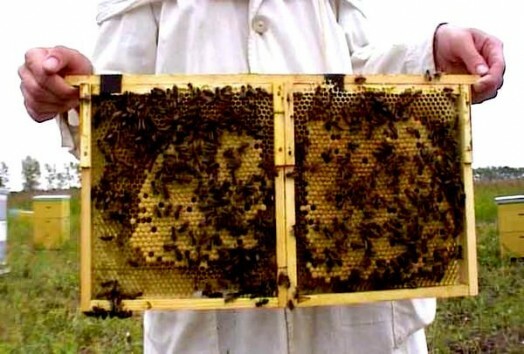 On both sides of the brood you put frames with honeycombs. And one blank frame with the bees is put on each edge. It is important to make sure that the nucleus has not get the old queen. To add honey is not required because bees fill the empty cells in the first few days, and the queen has no place for eggs, so you have to take away this extra honey and put the honeycomb. There are many ways to put queens. Here we will describe only two of them. Implanting is possible wiith the barren queen and mature queen cells, but not earlier than 6 hours after the formation of nucleus. By this time the bees forget the smell of the old queen and easier accept the new. 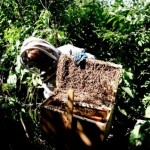 Placing mature queen cells: This method is preferred, because it is more likely that the bees will accept the queen. Cells are fixed between the frames with brood. It is important not to damage it. In a day you should check. If the cell was gnawed, the placing failed. If the hole is at the end of the cell, then the uterus opened it itself, and most likely, the bees have accepted it. 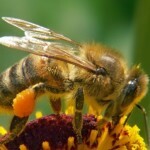 Placing barren queen: Bees accept better the queen not older than 1 day. The older the queen, the worse the quality. You can place the queen in cell or under the cap, so bees better accept it. 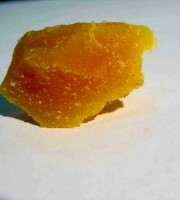 But you can place it directly on the cells, if you first dip it in honey or pour honey over it on the cell. You also need to pour neighboring bees. Check them in a day. If it disappeared, it means that the bees killed her, and placing should be repeated. In case of successful grafting of the queen you should check eggs in 10 days. If there is no eggs, you can wait another 4 days. Then, if there is no eggs, then remove the faulty queen and try grafting. If eggs are available, then you need to wait more for 3-5 days. After that, the queen can be used for other purposes, and you can place the next queen in the nucleus. Cores are transported without roofs. Notch is closed. 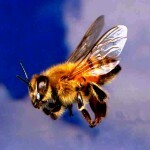 Also you need to strenghthen tightly the partitions so bees cannot crawl from one compartment to another. We did not have cases of steaming of bees, because there is a lot of space under frames. 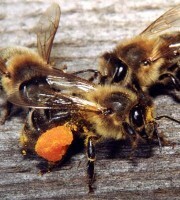 Wintering of nucleus differs from the usual winter of hive. You must prepare for winter. 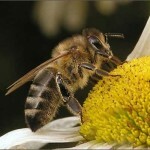 It is required to have a large number of young bees. Therefore, you should place the queen no later than July 15, so July 25 it starts to lay eggs. If by the time the honey harvest is over, you need to start feeding with sugar syrup (the concentration of 1×1,5). They need 250-350 g of food for one day. But you can give it a day. Altogether, give them 2 liters of syrup. Each queen cell is fed separately, and you need to put two feeders so the roof lay on them flat. You also need to stock up in advance semi-fames with honey (3-4 per queen cell). They are taken out of the main family apiary where they had been put earlier, so the bees filled them with honey and sealed. There is another option. 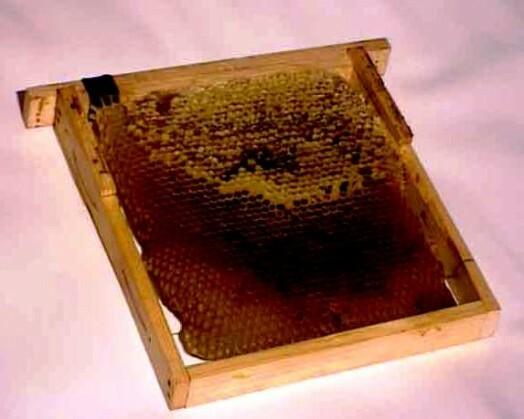 After the honey harvest you put nucleus frames in several families (2 semi-frames are combined into one with metal braces) and you feed them with sugar – with such calculation that the bees had to seal this framework. Then you put semi-frames on the warehouse for the winter. In early September the queen stops to lay eggs. After 3 weeks the last brood releases, and you can begin to build nests for the winter. Remove all the empty frames, leaving only two half-filled with food. They are placed in the middle. You leave a frame in a place, located next to the wall, as after feeding the nucleus with inverted syrup , it should be filled almost completely. It also has bee ambrosia. Next to it, put one frame from warehouse with honey or processed sugar syrup. Then there are two middle frames, and put 2 more from stock. Similarly, the other half is assembled. It is important to consider only that the winter clubs move to the wall, toward each other, and if there is no full frame, the bees may die. In early October, there is no brood in the nest, and it needs to be treated with an acaricide from varroatosis. After the nucleus is placed in warehouse. They are placed on the upper floors of the stack, so that they get the heat of main families, living below. Immediately remove the roof. A day after placing in warehouse, when the bees calm down, open the upper entrance for the best ventilation. In February and March brood appears in the nucleus and food consumption dramatically increases. Then on top of the frame you put semi-frame with food. Usually the family is placed at temperatures 6-8 degrees C (42-46 F). This temperature is usually in early April. But the nucleus is placed later, at least 10-12 degrees (50-53 F). After their first flight you need to check feed stocks. If these are not enough, then place on top frame with honey. It is also important to insulate the nest on top with the insulation from polyester,cotton or batting (size 470*260*30) (18.5*10.2*1.2”).